Founded in 1859 as a gold mining camp, Denver is one of America’s youngest cities & one of the most exciting. Today, this booming metropolis has a population of 2.6 million & is the largest city in a 600-mile radius – the entertainment, shopping, cultural, sports & recreation capital of the vast Rocky Mountain West. The metropolitan area consists of seven counties & thirty-two cities. Located at the base of the Rocky Mountains, Denver is one of America’s most beautiful cities & one of the most fun. Blessed with over 300 days of sunshine a year, Denver is a lively city with a great love of the outdoors. Denver is ranked in the top ten of the fittest cities. Here you’ll find the nation’s largest city park system (200 parks), 90 golf courses & an incredible 850 miles of unpaved bike trails. But Denver is also a cultural & sophisticated city. Denver has the tenth largest downtown in the U.S. – a bustling area centered around a mile-long pedestrian promenade that is lined with outdoor cafes & flower baskets. Down every street there are mountain views. The mountain panorama visible from Denver is 120 miles long & includes nearly 200 named peaks. Downtown Denver is home to four new sports stadiums, 300 restaurants, a restored historic district filled with 90 bars & brewpubs (Denver brews more beer than any other city in the U.S.), a collection of museums, a variety of galleries & shopping, the second largest performing arts center in the nation, three college campuses & even a unique downtown amusement park, Elitch Gardens. 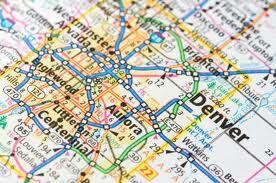 Denver has one of the highest educated populations in America & a great love of the arts. The Denver Art Museum recently doubled its size with a new wing designed by Daniel Libeskind. The Denver Performing Arts Complex is the second largest in the nation with ten theaters seating 10,000 people for Broadway theater, symphony, opera & ballet. Denver’s hip downtown offers sports bars, pubs, jazz clubs & restaurants. In addition, Denver has a growing music scene & one of the best concert venues on earth, the famous Red Rocks Amphitheater, a 9,000-seat arena carved out of gigantic red rock boulders. According to Travel + Leasure, Denver is ranked #2 on America’s Best Beer Cities list. 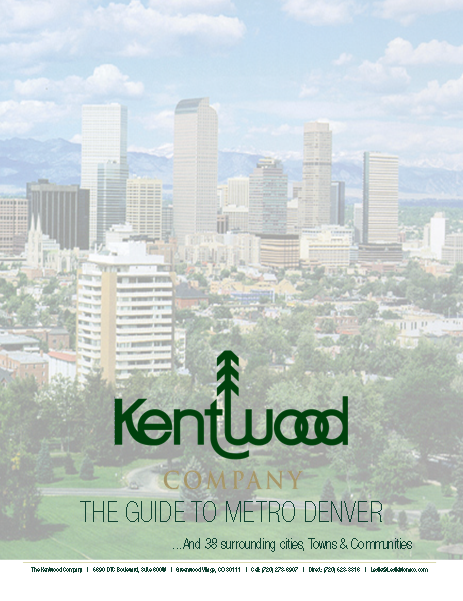 The Guide to METRO DENVER (..and 38 surrounding cities, towns and communities) offers information about the history of Denver, education (universities and public school systems), entertainment/recreation, housing, market statistics, hospitals, public transportation, DIA airport, map of Metro Denver, comprehensive overview of all 26 cities that make up Metro Denver and much more.